Have the cutting edge your way. WhizGroove inserts have four precision ground cutting edges and they come in four different shapes: sharp cutting edges and corners, corner radiuses, full radius and slightly honed cutting edges. It is a great combo of precision, stability and low cost per cutting edge. We are proud to present WhizGroove - WhizCuts most recent product range. Perform excellent and eliminate variation in cut parts. 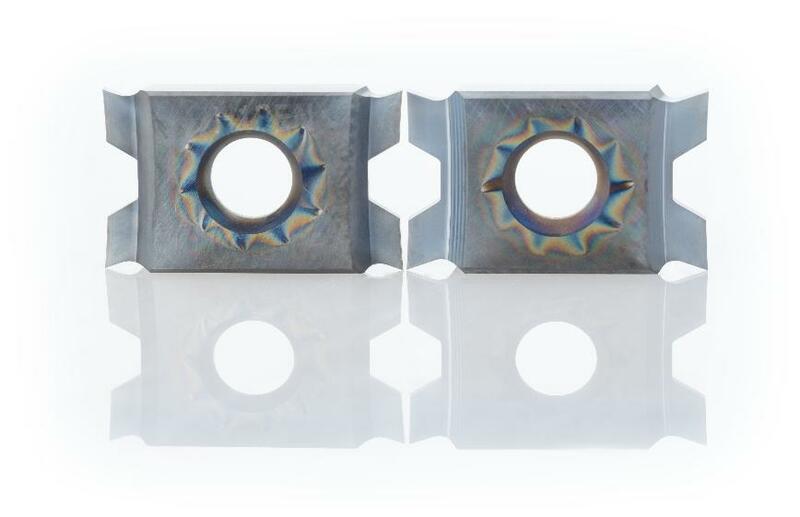 Increase your productivity with WhizGroove: precision ground inserts with four cutting edges. WhizGroove was explicitly designed to manage tight tolerance production - down to the decimal and achieve consistent quality with +- 0,01 tolerance. WhizCut offers a standard cutting rake of 12 degrees and 2, 6, 16, and 20 degrees as special requests. WhizGroove is available with sharp corner, radius, and full radius. Special designs are available on request. - Winning combo: of precise geometries and four sharp cutting edges. - Precision ground: all inserts are precision ground on all four edges. - Your choice: WhizGroove comes with sharp corners, radius, and full radius. - On request: contact us if you need a special design. - Mix it and fix it: operate WhizGroove together with WhizFix toolholder system and index the inserts in 15 seconds. - Improve productivity: with enhanced chip control. We recommend using WhizHip holders, feeding the coolant through the holder.